Looking for ideas? 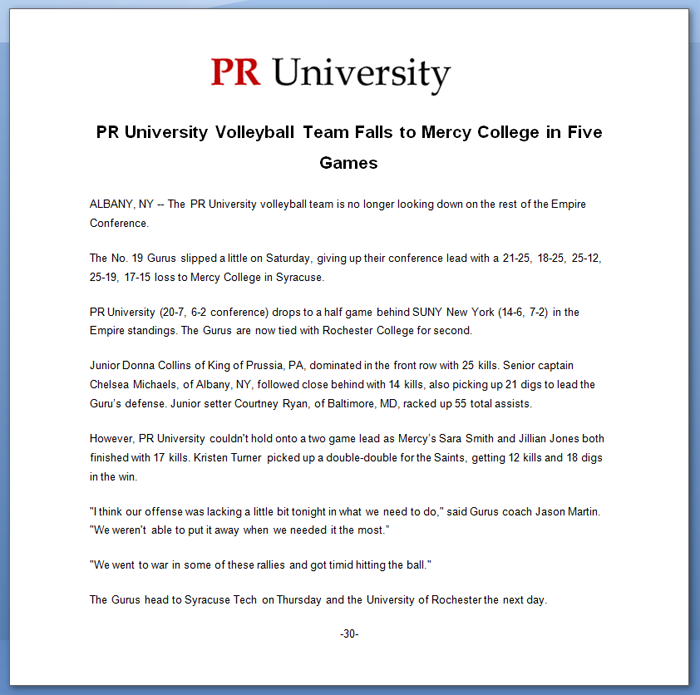 Here's a individual hometowner that recaps a volleyball match. A sample Word document is attached. NOTE: This is an individual hometowner, and does not require a spreadsheet.